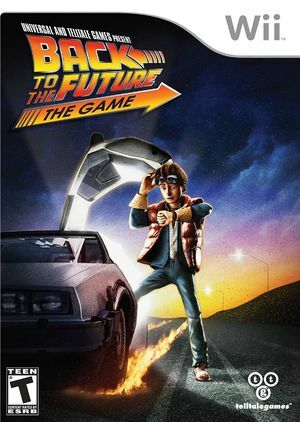 Back to the Future: The Game is a graphic adventure video game based on the Back to the Future trilogy, developed by Telltale Games as part of a licensing deal with Universal Pictures. Bob Gale, co-creator, co-writer and co-producer of the film trilogy, assisted Telltale in writing the game's story. Original actors Michael J. Fox and Christopher Lloyd allowed the developers to use their likenesses in the game for the lead characters Marty McFly and Doc Brown, respectively. Lloyd also provides the voice for Doc, while new talent A.J Locascio plays the role of Marty; Fox later appeared to voice two cameo roles in the final episode. Originally released as a series of episodes for PC, the collection of episodes was released as a retail Wii title once they were all complete. The graph below charts the compatibility with Back to the Future: The Game since Dolphin's 2.0 release, listing revisions only where a compatibility change occurred. This page was last edited on 12 August 2018, at 18:18.